Hua Hin is a well known beach resort town in Thailand. Situated south of Bangkok, Thailand, Hua Hin is one of 8 district (Amphoe) of the Prachuap Khiri Khan province. 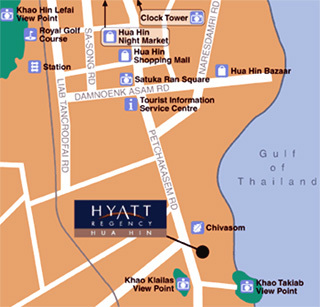 Hyatt Regency Hua Hin beachfront resort has 204 deluxe rooms. Located 230 kilometres south-west of Bangkok on the Gulf of Thailand, the hotel enjoys the prime stretch of a long beachfront and considered to be the longest beach resort in Hua Hin. Hyatt Regency Hua Hin offers fresh, clean and comfortably designed rooms with spacious bathroom and balcony and lush tropical landscaped gardens complete with exotic foliage and secluded ponds. The resort offers one of the most family-friendly environment and has the best and largest features and recreational facilities in town for the entire family. 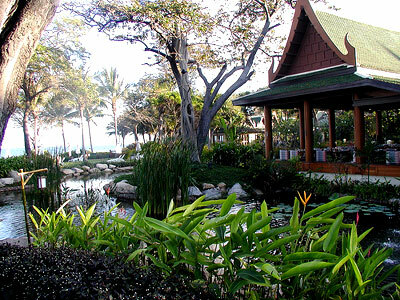 02 nights resort accommodation with daily breakfast at Hyatt Regency Hua Hin. 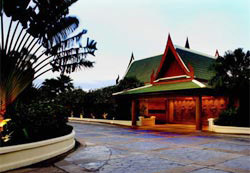 The resort is about 40 minute by flight or two and a half hours' drive from Bangkok. Hyatt Regency Hotel is an ideal getaway for you.